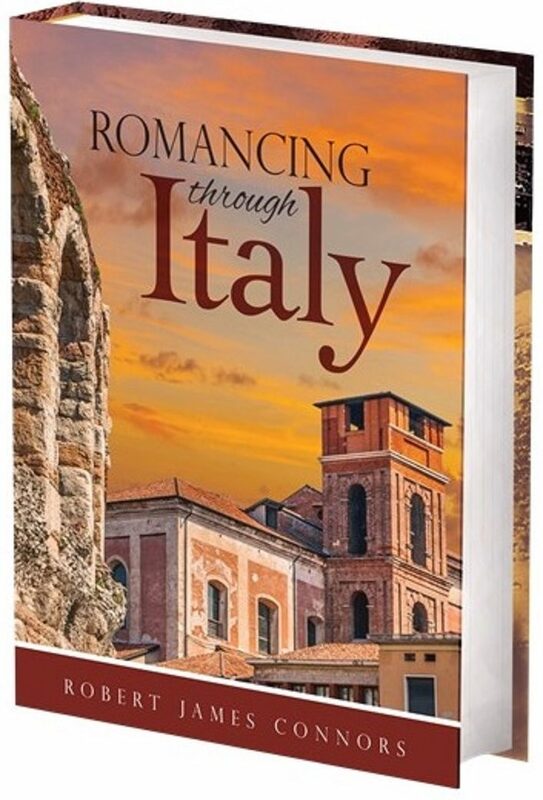 We returned again and again to Italy, each time focusing on particular parts of a surprisingly large and varied country. Tuscany, the largest and undoubtedly the best-known region of Italy, never fails to live up to its reputation as a source of beauty. Here the emblematic cypress trees line narrow roads that were merely improvements upon ancient wagon trails. Old stone walls line vineyards, and quiet farms press their home-grown grapes to be vinified in their own barrels and offered to visitors. Tuscany and the northern part of Roma’s Lazio region had played an important part in civilizations long before the rise of the Roman Empire, and along with southern portions of La Toscana it formed the heart of the Etruscan federation, which gives its name to modern Tuscany. Being curious, we wanted to know more about its history. We learned that Tuscany actually draws its name from the old name of Etruria, land of the Etruscans, although the Italians call it ‘La Toscana.’ The Etruscan culture had predated the Romans, and had actually been absorbed into that of ancient Rome, thereby helping to define and establish many of the Roman traditions. Largely forgotten until the 20th century, Etruria produced an advanced culture contemporary with the Greeks, with whom they traded and exchanged ideas. A powerful league of cities, they shared their culture, trade, and mutual defense. Etrurian civilization first appeared in Italy about 3,000 years ago, and by 650 BCE, they were dominant, a loose federation of cities that traded directly with Greece, and probably even Egypt, as Egyptian products have been discovered among the grave goods. Once they were ‘rediscovered’ in the last two centuries, the Etruscans have been elevated to an important role in the history of human civilization, and the richness of their culture and art still shines through in their work today. Discovering a bit of the remaining evidence of Etruscan romantic exploits would take some detective work, so we headed towards Vulci, where Etruscan tombs dot the countryside. The tombs, of which more than 5,000 have been discovered, are reminiscent of underground houses, carved directly into earth and stone. Walls decorated with vibrantly-colored murals feature scenes from the life of the deceased, which give us moderns some insight into the modes of living in those ancient days. The next morning dawned clear and cool, and we rose with the sun, eager to renew our search. We knew the Etruscans were rumored to have been perhaps the greatest lovers in the history of Europe. Their, ahem, reputations were the result of a sexually-permissive culture, which they had managed to pass down to the Romans who mingled with and ultimately absorbed them. Evidence had been recovered that pointed to a pattern of open partnerships in a society in which women were influential equals. While we couldn’t prove or disprove the theory, we decided that it would be interesting to become acquainted with the ancient neighbors. Near Vulci we found the Castel Vulci and a beautiful and delicate Medieval bridge built of stone. It traced a graceful arch like a rainbow, or arcobaleno, that almost seemed to defy gravity, rising above a small river. No doubt it provided a popular way of crossing the stream, and brought substantial revenue to the noble who had financed the construction. Most such bridges had their own customs houses, collecting a toll on the value of the trade goods brought across. It was beautiful, but it wasn’t Etruscan. We kept looking. Following signs on lonely country roads, we finally found a typical Etruscan tomb, which we entered through a rickety set of wooden steps. We sat in silence under a single bare light bulb for a few minutes, absorbing the other-worldly feel of the place. It was interesting, yet here was where they had laid their celebrated dead, and we were in search of evidence of the living Etruscans. We resolved to continue our pursuit of the ancients from cheerier locations. Contemporaries of the Greek city-states, the Etruscans may have espoused making love, not war, but they prepared for either, and built their settlements on the highest and steepest hills, then enhanced those natural defenses with high walls. Most of their chosen city sites remain occupied today. The Italian towns of Orvieto and Volterra are excellent examples, and in addition to offering romantic views, contain significant relics of those founders. We finally found our Etruscan muse atop the heights at the darkly-brooding town of Volterra. We had driven across thirty kilometers of rolling green pastures filled with wildflowers and flocks of sheep before approaching the town on a steeply-climbing road. It sat like a brooding king on its lofty throne, higher than any of the surrounding hills. Volterra today remains a point of high interest, positioned as it is between Pisa and Firenza, and no doubt it will eventually be submersed in a sea of tourism as nearby San Gemigniano has been. As of yet that has not happened. Volterra possesses a certain quality of remoteness that we had not found in other towns in the area. We parked at a municipal lot below the wall, and hiked up a steep slope to an ancient arch of stone: the city gates. Three faces, their features almost erased by the passage of time, stared down at us from atop and each side of the arch. It was an oft-repeated theme of Etruscan art, a sort of pre-Christian trinity, but its significance remains unknown. The gate, we learned, was known as the Porta all’Arco, or door of the arch, and has stood in this place for nearly 2,500 years. Here Etruscan guards had watched for enemies, and tended the heavy wooden doors that protected the city. The gate was a center of activity in September of 1944 when the approach of the Blue Devils caused near-panic among the Nazi occupiers. George DeLuca and his fellows had established a reputation for toughness. Frightened of the impending attack, the German commander proposed to implode the gate to block the street. The townspeople recoiled at the idea and almost rose up against the occupiers, but hundreds gathered instead to tear the cobblestones from the street before it and block the arch with the rubble, effectively concealing the opening. The Germans accepted this solution, but then fled in the face of the approaching Americans, who pursued the Nazis to battle in the valleys below. The arch survived the war intact. The city walls, though reinforced during later years, were those built by the ancient people of Etruria. They offered an excellent defensive position, and clear lines of sight to distant hills. As we walked atop their battlements the intervening years seemed to drop away, and we stood as the Etruscans must have often done, pondering the dominating view of the broad sweep of valleys stretching in every direction. No doubt they also pondered the wonders and dangers of the wide world beyond their safe defenses. The top of the Etruscan walls offer a striking view into a well-preserved Roman theatre lying just below, a gift from the rising power of Rome to the people of this far older city. Once the voices of actors portraying kings and despots, plotters and princes, echoed across its bowl-like shape. It offered an ideal place to share the culture of the Roman world, and today still performs the same function as visitors walk among the remaining tiers of stone benches, and gaze upon the colonnaded stage. With rich farmlands and a command of commerce through their Tyrrhenian seaports, the Etruscans lived well, and were inclined to take their pleasures where they found them. Much of their culture and origin remains a mystery, however, including the source of their language, which does not fit into the the surrounding framework of Indo-European tongues. At their height they governed an area stretching from the Po River valley in the northeast of Italy to the region of Calabria far to the south, and extending even to the entire island of Corsica. Their dominance was lost in waves, first to northern Celts, and eventually all to the rising Roman Empire, with which they had had shared their art, culture, and agriculture, including their skills at growing grapes and olives, and their architecture, mostly adapted from the Greeks. The thick walls of the Museo del Arte degli Etruschi, filled with Etruscan art and artifacts, were also typical of the massive stone construction that seemed far older than any we had seen before. The museo displays an amazing array of the artworks of those people that history had long forgotten. Our explorations of the Etruscan culture have led us to many more marvelous discoveries, and several other amazing museums full of recovered art, jewelry, pottery, and thousands of every-day tools and objects that help bring these people to light. Among them is the Museo Nazionale Etrusco, located in the Via Giulia in Rome. Smaller but also impressive are those in a dozen towns scattered across Tuscany and northern Lazio, including the ancient Etruscan capitol of Vetulonia, near the tiny village of Tirli, overlooking the seaside Maremma of Tuscany. There excavation is only beginning to unearth the full scope of their constructions and culture. Today the remaining Etruscan towns are being excavated and documented, and a number of fascinating museums display the evidence of the beautiful art they produced. Colorfully-painted tombs filled with relics lie scattered around the remains of the Etruscan towns. The necropolis, or ‘city of the dead,’ near Tarquinia contains more than 6,000 graves cut into the stone, including some two hundred painted tombs that date back to the Seventh Century BCE. The area is now a UNESCO World Heritage site, protected for future generations of researchers and visitors. Thanks , that was great!